When we moved to The Barn one side of the fireplace was used as a TV alcove and fitted with black CD shelves. 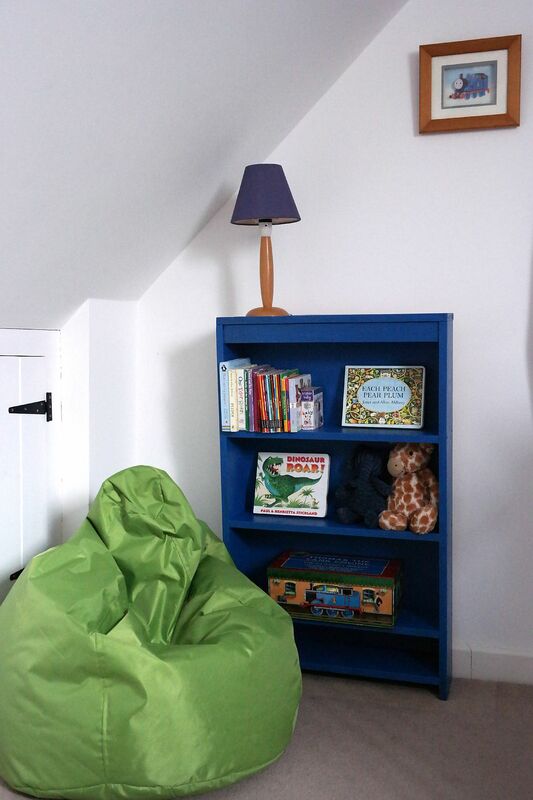 As we wanted to install a second log burner and bring the fireplace back into use (I’ll be sharing more about this in a later post) we removed the shelves and I quickly realised we could turn them into a great storage solution for the kid’s rooms. 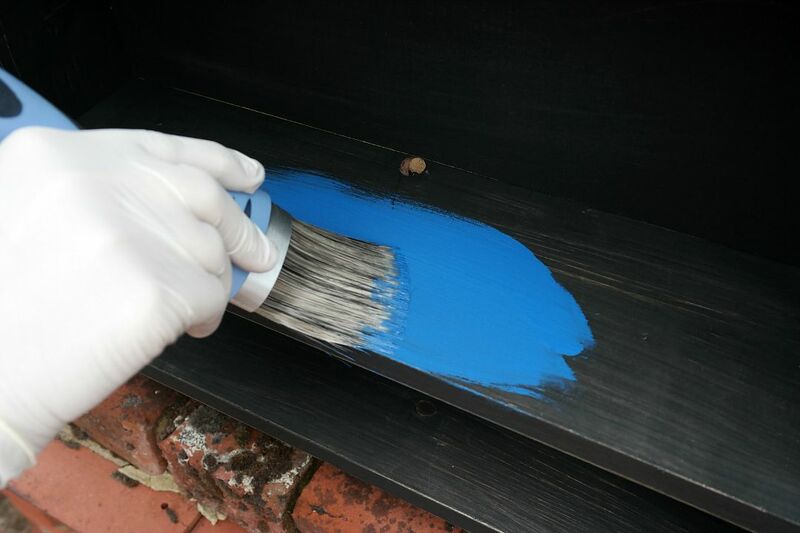 The first step was to wipe away the dust and sand down the wood to create a surface for painting. 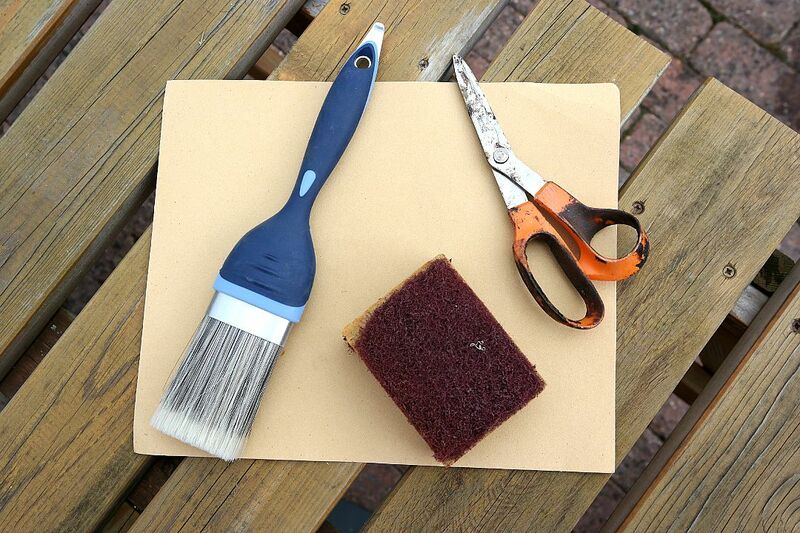 Top tip: to make an easy-to-hold sanding pad, just get an old sponge or block of wood and cut the sandpaper to the same length before wrapping it around. 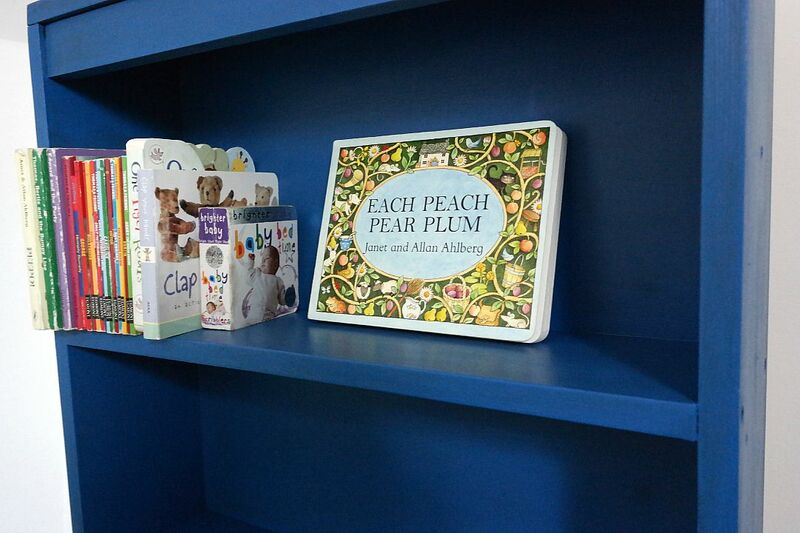 Next to match the themes in the kids’ bedrooms I chose a bright blue and bright pink quick dry satin water-based paint which would be easy to apply and give a semi-matt finish. 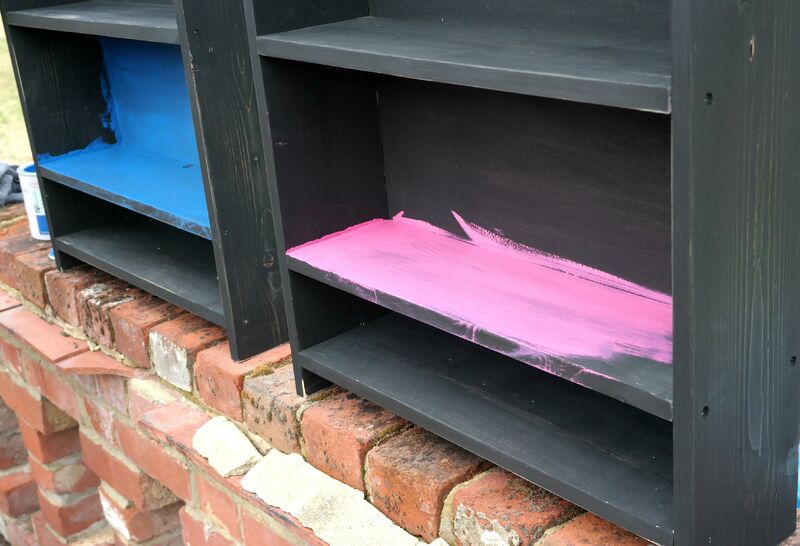 We painted the bookcases on the patio as it was a gorgeous sunny day. 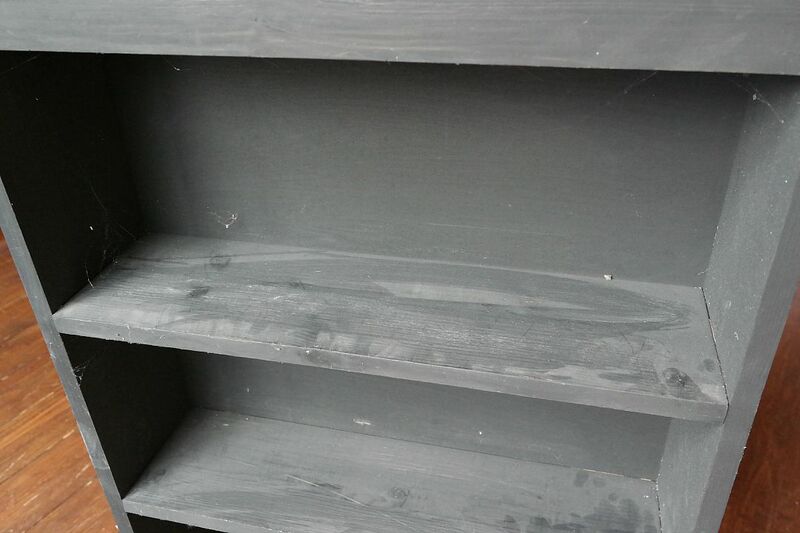 The first coat went on really well as you can see below, but we needed a second to completely cover the old black paint and achieve the bright colour I was looking for. 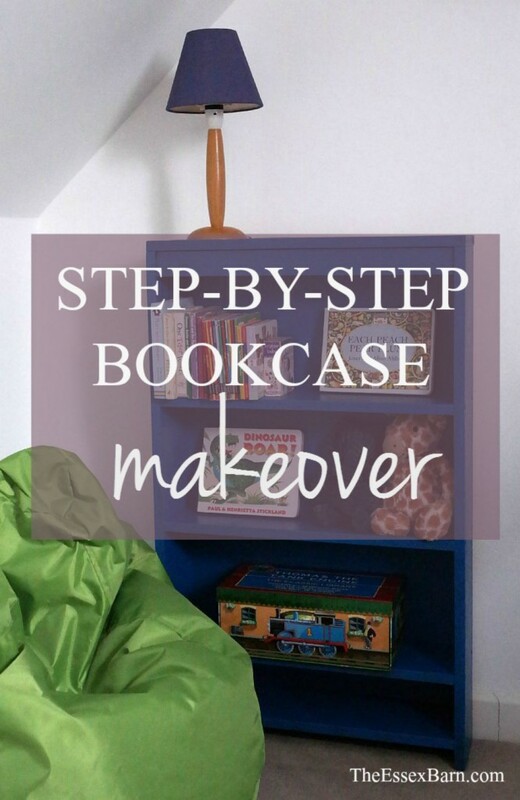 If you’re a regular reader here you’ll know we’re passionate about repurposing original elements from The Barn and I’m really pleased with the results of this bookcase makeover. 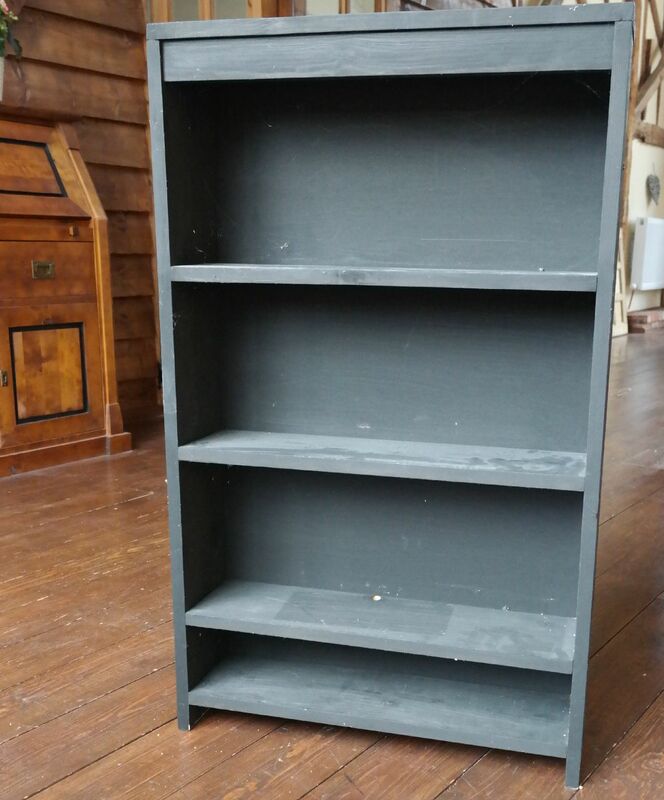 As the shelves were originally for CDs they make quite narrow bookcases which are perfect for smaller books and knick knacks. 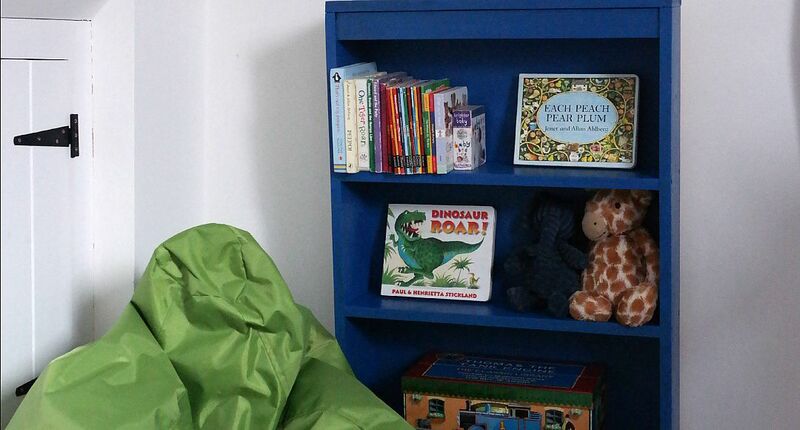 The blue bookcase fits in perfectly with the blue/lime/grey theme in the Little Man’s room and I brought up the lime beanbag from our playroom makeover so that he can sit and read in comfort. 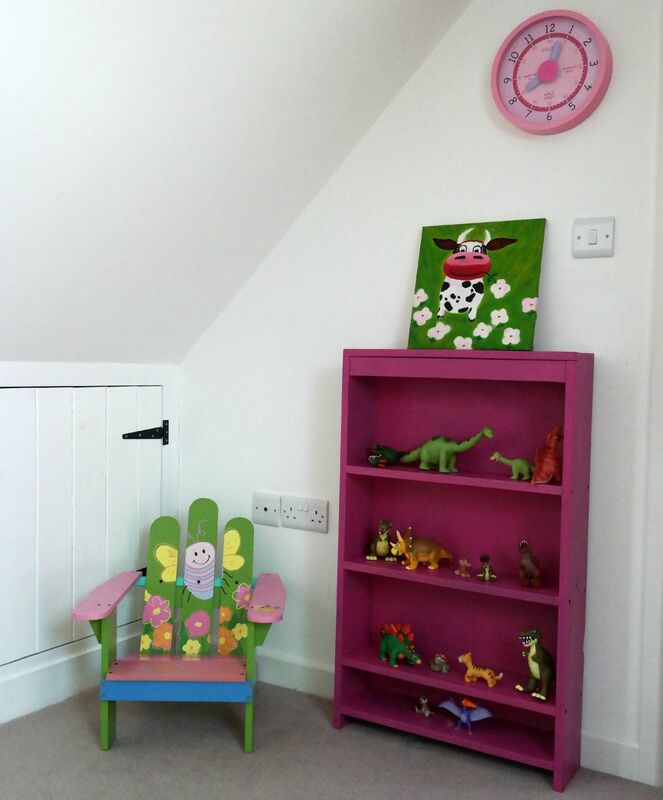 In our daughter’s room the new pink bookcase is the perfect home for her dinosaur family and sits well within the pink/green/sky blue theme we’ve gone with. I’ve topped it with a cute original painting – one of a set of three I found when we were living in China. Ah, just my kind of thing! 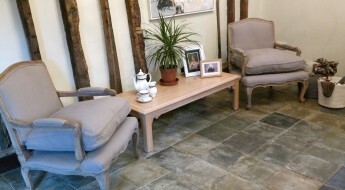 I love up cycling furniture. 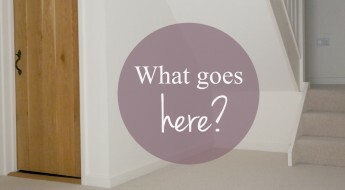 Half our house is furnished with salvaged items I have renovated. Thanks Fionnuala I’m really pleased with them too! I love the cow art paintings too – they’re originals we picked up in China when we lived there and they really bring this colour scheme to life I think. Thanks for your lovely comment! This looks great. Would it work in a lighter colour? 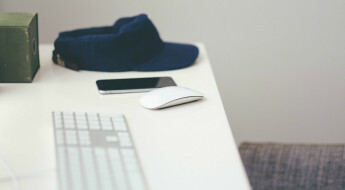 Hi Kirsten thanks for your question! 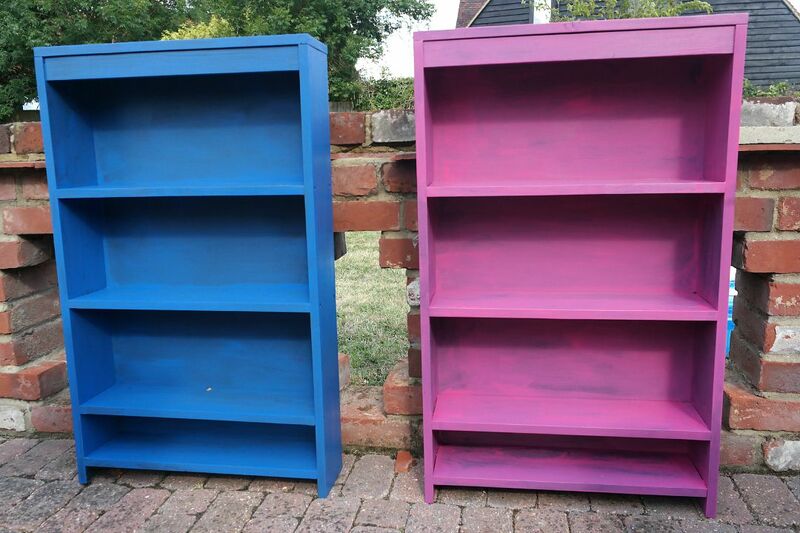 Yes I’m sure it would although depending on what colour the bookcase was originally you might need to use a primer. 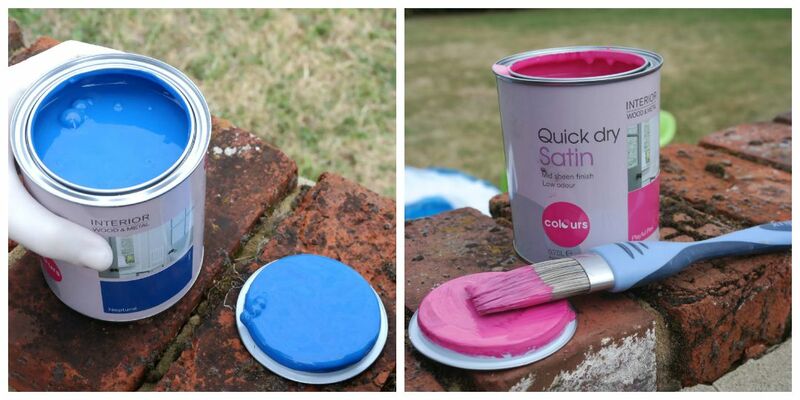 Or you could use a chalk paint like Annie Sloane which is thicker for minimum prep time.